 2015 Mazda Mazda6 i Touring 4D Sedan **NAV**, **LOCAL TRADE IN**, **LEATHER**, **MOONROOF**, BLUETOOTH, ALL BOOKS AND KEYS, **Back-Up Camera**, Mazda6 i Touring, SKYACTIV®-G 2.5L I4 DOHC 16V, 6-Speed Sport Automatic, FWD, Deep Crystal Blue, Black w/Leather Seat Trim, 4-Wheel Disc Brakes, 6th Generation Navigation System, ABS brakes, Aluminum Wheels, AM/FM radio, Auto On/Off Headlights, Auto-Dimming Exterior Driver's Side Mirror, Auto-Dimming Rear View Mirror w/Homelink, Automatic temperature control, Blind Spot Sensor, Bose 11-Speaker Sound System, CD player, Electronic Stability Control, Exterior Parking Camera Rear, Front dual zone A/C, Heated Exterior Side Mirrors, Leatherette Seat Trim, Moonroof & Bose Audio w/SiriusXM Package, Navigation System, Outside temperature display, Power door mirrors, Power driver seat, Power Moonroof, Rain-Sensing Windshield Wipers, Reclining Front Sport Bucket Seats, SIRIUSXM Satellite Radio, Smart City Brake Support (SCBS), Split folding rear seat, Steering wheel mounted audio controls, Telescoping steering wheel, Touring Technology Package, Traction control. Located in Sioux Falls SD, and serving Mitchell, Yankton, and Brookings, Dell Rapids, Lennox, and surrounding areas. Hello, I would like more information about the 2015 Mazda Mazda6, stock# 9061A. Hello, I would like to see more pictures of the 2015 Mazda Mazda6, stock# 9061A. Ready to drive this 2015 Mazda Mazda6? Let us know below when you are coming in, and we'll get it ready for you.